Prime Minister Roosevelt Skerrit has accused the opposition United Workers Party (UWP) of inviting what he calls "European colonizers" to recolonize Dominica. 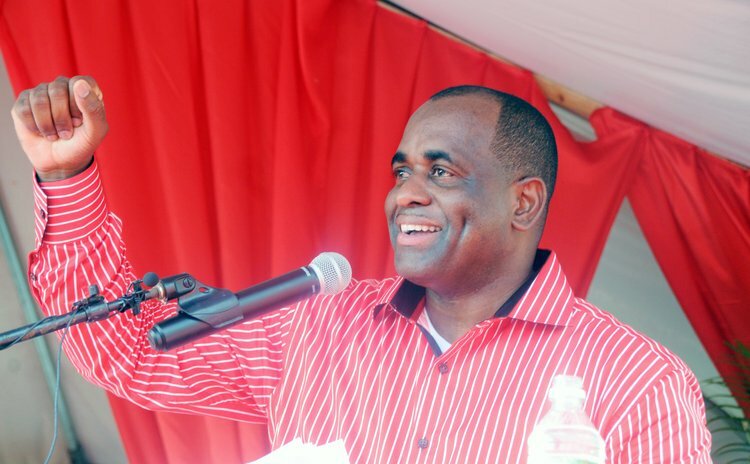 Speaking to supporters of the Dominica Labour Party (DLP) at a delegates' conference at Pointe Michel on Sunday, Prime Minister Skerrit said the unnamed group helped the UWP during the 2005 general elections campaign and it is also active in other Caribbean countries. Skerrit said he UWP contacted that group again for financial help to run its current campaign but the Europeans insisted that James must give up the position as leader of the UWP and hand over to a new and energetic person if the party's request was to be considered. The UWP wanted about US$3 million, Skerrit said. In exchange, the group wanted many Dominican passports. Still in search of campaign financing, Skerrit said, the UWP then travelled to St. Kitts to seek help from the Taiwanese but the Embassy of the Republic of China (ROC) responded negatively because disagreements between the ROC and the People's Republic of China was no longer relevant. "They went and poured their hearts out to the Taiwanese providing all sorts of fake documentation about how a poll showed them winning the next election in Dominica", Skerrit said. The UWP therefore returned to the Europeans. "The group stood firm," he said. "'Give me Edison's head on a platter and permit me to choose his successor' they insisted," Skerrit said. He added that a few members of the UWP leadership were livid but when funds started arriving, they stopped their opposition to the European's scheme. "The group likes to control prime ministers, they like to work around the cabinet of ministers," Skerrit said. In response, the UWP former political leader described Skerrit's statement as a fairy tale. "What you heard from the Prime Minister is mésyé kwik mésyé kwak", James said on Q95 FM on Monday. "I don't understand how a person who holds the office of Prime Minister can get himself in such utter complete and utter lying rubbish." James said he has not travelled to St. Kitts during the past three years and has had no conversation with anyone in the manner that Skerrit described.